Want to up your exercise and running game for 2019? Well shoot for the stars and join the award winning Rightmove MK Marathon weekend this year! The Rightmove MK Rocket 5K and the Rightmove MK Half Marathon were last year voted as the best races in their category by Women’s Running readers and the Rocket scooped another award, winning Silver from the Racecheck Awards. These two award winning races are back again this year as part of the Rightmove MK Marathon Weekend, which will take place on Sunday 5 and Monday 6 May. This year will mark the fourth year for the Rightmove MK Rocket 5K and the super-speedy, mostly downhill route is a great way for new and experienced runners to achieve that all important personal best and a great opportunity to get a slice of the Rightmove MK Marathon Weekend buzz with the main Rightmove MK Marathon happening the day after. 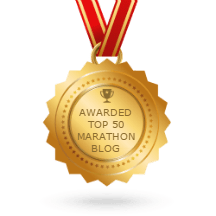 So, why was the MK Rocket 5K voted the best 5K by Women’s Running readers and why did it win silver in the Racecheck awards? Not only is the race very well organised and suitable for all abilities, it also gives an unforgettable atmosphere which pushes everyone to that all-important finish line in the best time possible for each runner. Plus, for the more experienced runner, it is a perfect warm up race in preparation for the marathon the next day and for those just starting out, it’s a great way to achieve a personal best to be proud of. The MK Half Marathon will be celebrating its sixth year this year and runners love the race not only because of its fantastic spectator support, but also because of its beautiful route which guides runners through beautiful scenic countryside, featuring some of the stunning landmarks Milton Keynes has to offer. Plus, the exhilarating feeling of finishing the race inside the MK Dons Stadium with the echo of the crowds is unmissable and will make everyone feel like a true hero. If you are already signed up to take part in the half or full marathon for the Rightmove MK Marathon weekend, why not add the Rightmove MK Rocket 5K to your list to pick up an additional award, the MK Challenge Medal! It’s a fantastic weekend to be a part of, hence why the weekend won gold last year from the British Association of Runners for Outstanding Race Management AND its won Bronze overall for the entire weekend from Racecheck. Now that’s a weekend to get involved in!